Located on the Mexican Pacific Coast, Villa del Palmar Puerto Vallarta is a successful family resort and timeshare complex that ranks highly in reviews and top 10 lists of best timeshare buys. 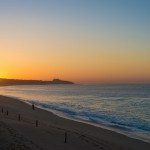 It was developed by the renowned The Villa Group timeshare company who is responsible for over 6 different luxury resorts in the best beach destinations in Mexico. Why does Villa del Palmar Puerto Vallarta come top of the reviews? The location of the resort has a lot to do with the success of Villa del Palmar Puerto Vallarta and its favorable reviews. Puerto Vallarta boasts a stunning coastline that is lined with beautiful beaches and shrouded by verdant mountains. Most reviewers consider it one of the best vacation spots in Mexico as well as a perfect place for retirement. The Villa del Palmar resort in Puerto Vallarta features highly in reviews for its hotel facilities and is given particular credit for the timeshare accommodations offered. The resort has a world class spa that provides excellent services, including massages, wraps, steam rooms and facials, which is frequently mentioned in reviews about Villa del Palmar. Timeshare reviews also mention how there is a separate area and pool for timeshare owners called Villa del Mar, which means owners can enjoy all the facilities of the resort yet retain their privacy. Finally, Villa del Palmar Puerto Vallarta’s restaurants also cause a stir in positive reviews. They are commended for their great flavors, variety and portions. There are three main restaurants and a deli to delight all inclusive, room only and timeshare guests. Timeshare owners can also buy an all inclusive pass should they so wish. 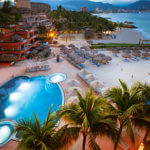 Share the post "Review: Villa del Palmar Puerto Vallarta"